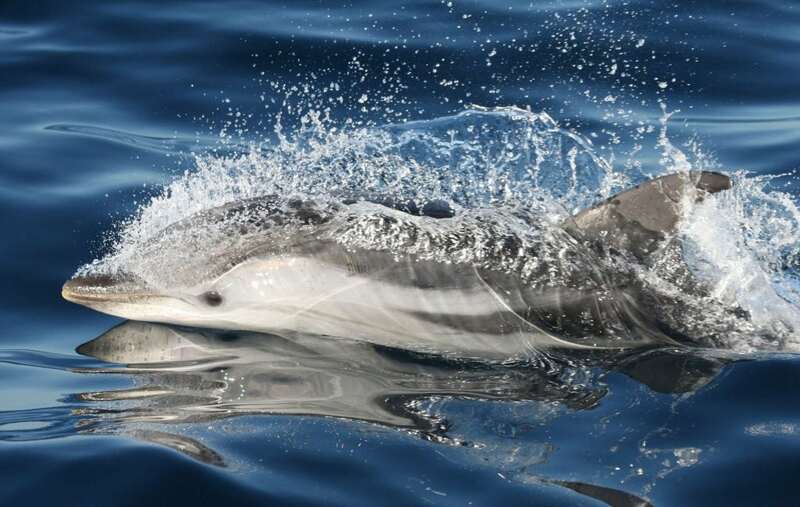 WDC believes that whales and dolphins are both sentient and sapient individuals, and so deserve to have rights recognised and welfare protected. Jane Goodall (2011) in Whales and Dolphins: cognition, culture, conservation and human perceptions. But what is a sentient being? Good experiences could be as important in shaping behaviour as bad experiences and it is just as important to provide individual whales and dolphins with the opportunity to flourish and have positive experiences as well as protect them from suffering. Animal welfare advocates argue that sentient animals should not be subjected to unnecessary suffering. But what is ‘unnecessary’? The European Union recognises, through a legally-binding protocol annexed to the Treaty of Amsterdam that animals are ‘sentient beings’. This means the EU Member States should ‘pay full regard to the welfare requirements of animals’. There is now a wide body of scientific evidence to support sentience in a wide range of species and this evidence comes from a broad range of scientific disciplines from animal behaviour to neurophysiology. Beyond sentience there is also now an impressive body of evidence on consciousness in a wide range of species and this led to the development of The Cambridge Declaration on Consciousness. Scientific evidence now shows that the lives of many species are far more complex than we previously believed (for more scientific evidence on the complex cognitive and cultural lives of whales and dolphins see the following book and search the WDC blog using the tag ‘scientific evidence’). The ability for individuals to suffer is now reflected in the legislation protecting animal welfare in many countries. This is intended to protect individual animals on the basis that these individuals can experience suffering from a range of causes and that this suffering can be experienced as pain, discomfort, fear, anxiety, stress, frustration or hunger. One step further along the continuum from sentience is the concept of sapience. Sapience refers to specific attributes of intelligence, such as the ability to ‘act with appropriate judgement’. Sapience is sometimes simply defined as wisdom. WDC argues that whales and dolphins are sentient AND sapient individuals. Many of these species live in complex social groups, exhibiting complex behaviours such as cooperation, tool use and some whales and dolphins clearly even have their own cultures. If the recognition of sentience in other species results in the moral imperative to ensure that we protect their welfare by avoiding activities which inflict either physical or psychological suffering; recognising sapience in some of these species must be the clarion call for us to go further (see Jane Goodall's forward to Whales and Dolphins: Cognition, Culture, Conservation and Human Perceptions - Brakes & Simmonds 2011). WDC believes that as sentient and sapient individuals, whales and dolphins deserve to have their homes, families and cultures protected as well as being protected as individuals. We argue that their intelligence and understanding of the world around them is such that protecting their physical and basic psychological wellbeing is insufficient and that beyond a basic ‘right to life, liberty and wellbeing’, they also have the right to freedom of movement and residence within their natural environment; the protection of their natural environment; and not to be subjected to the disruption of their cultures. These are some of the principles enshrined in the Declaration of Rights for Cetaceans: Whales and Dolphins. Science now demonstrates that whales and dolphins are sapient individuals, that at least some are capable of experiencing complex emotions such as grief and empathy, and that some live in complex, cultural societies. This knowledge requires us to do more than simply protect the conservation status of species or populations or protect individual welfare. It is the revelation of sapience in our aquatic cousins, brought about through scientific research, that requires us to recognise their rights. To help us achieve our aim, WDC played a key role in developing a ‘declaration’, which you can sign to show your support.